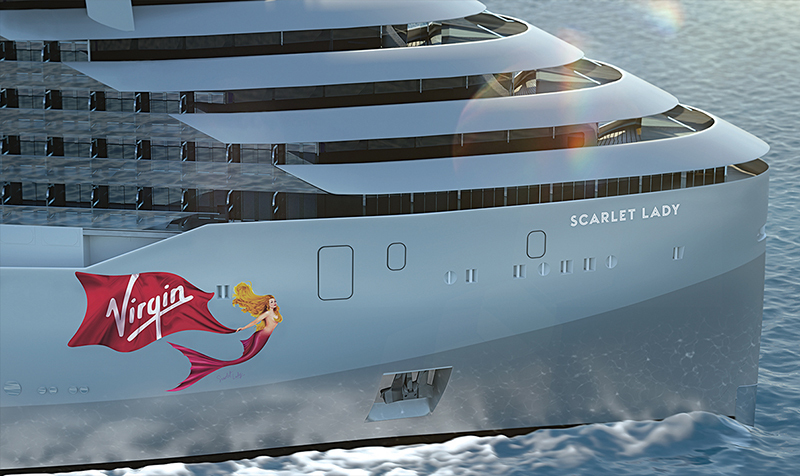 With a name like the Scarlett Lady, you know Richard Branson’s new Virgin Voyages cruise ship is meant to be a lot of fun… just maybe not for the whole family. The adults-only cruise has recently released its “rock star suite” designs, which bring a little bit of rebellion to the definition of “luxe”. Travellers aged 18 years and older will experience everything from tattoo parlours to luxury spas on board the Scarlett Lady. Amongst the many restaurant, cuisines and the 24-hour diner is a ‘test kitchen’, which gives guests the chance to have some fun – just give a list of ingredients to the chef and you’ll be surprised with a meal made from your list. When your stomach is full and it’s time to relax, you can hit the spa, hydro pool, mud room, salt room, cold plunge pool or have a spa treatment. If you’d rather work off some of those calories, you could head to the outdoor training arena and boxing ring, complete with ocean views, and at night, you can hit the nightclub (or maybe get that tattoo). The maiden voyage of this rebellious beauty will be from Miami to the Caribbean in 2020, with Cuba on the list for future journeys. As far as weird and wonderful locations to camp go, camping under the ocean has to be the winner. Yep, that’s right: the ‘Ocean Space Habitat’ tent (OSH) is the creation of National Geographic explorer Michael Lombardi and associate professor at New York University, Winslow Burleson. The OSH was designed to aid in diver safety, especially for those wishing to dive deeper and for longer times. It works as a base camp: the tent allows divers to have a safe, secure mid-point where they can remove their masks, replace their tanks or even have a meal. It works to provide a resting point and a space where divers can decompress before heading back to the surface. 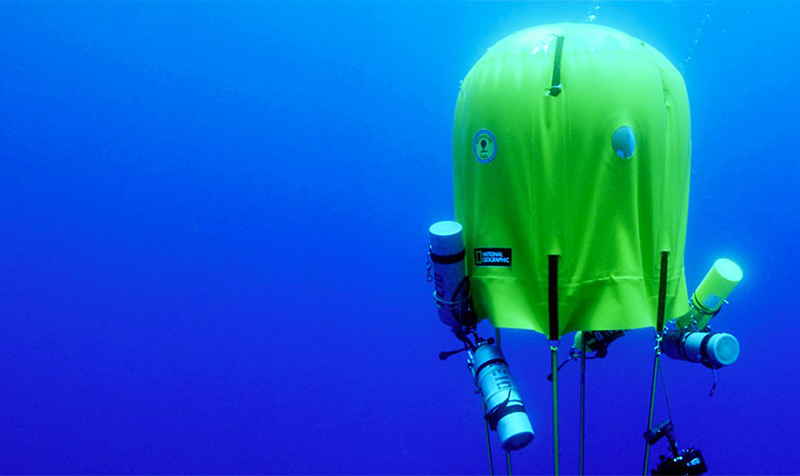 And it’s not just divers who could benefit from this piece of innovative technology, but rescue missions as well. Although the tent is still in development, Lombardi and Burleson are working in collaboration with interested partners to create an affordable commercial option for all, from explorers to recreational divers.